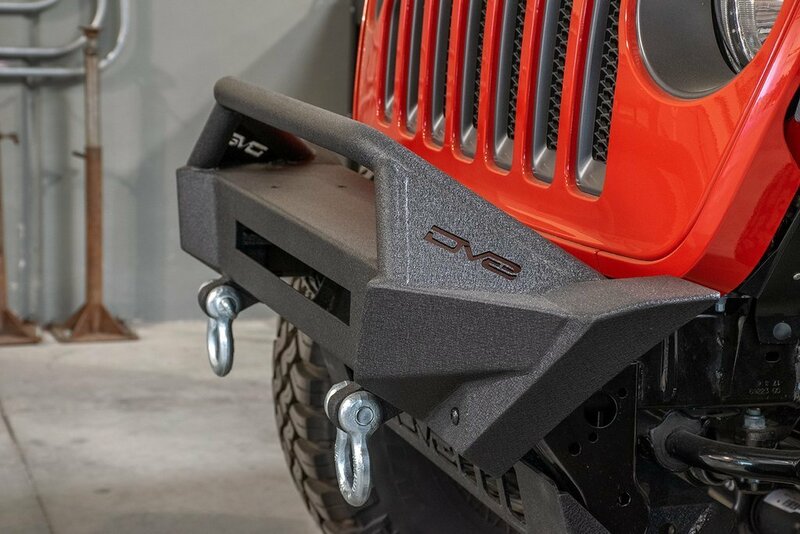 Adding the right type of bumper to your Wrangler JL can help big time when you are out on the trails. 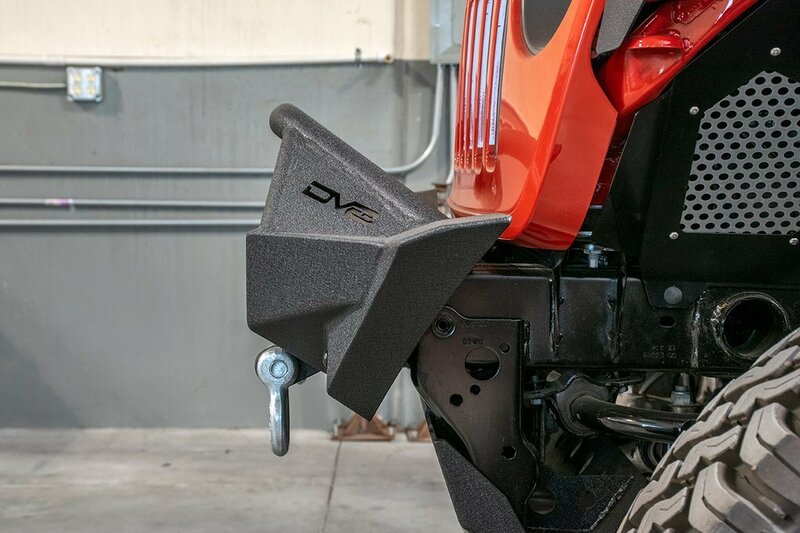 The DV8 Front Stubby Bumper has a high clearance design with aggressive angles so you can transverse some of those steeper trails. A great feature of this bumper is ability to add a 20" LED light bar for more light while off-road and a reinforced bull bar for added protection. 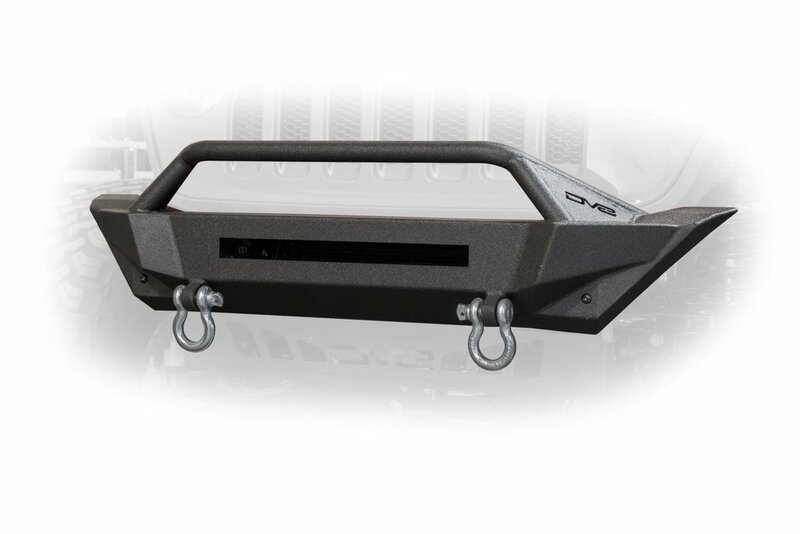 This bumper is rated to hold up to a 12,500lb winch. Construction: Made from high quality steel to stand up to whatever the trails throw at it, plus textured black powder coat to protect from corrosion. Features: The ability to hold up to a 12,500lbs winch along with high angled corners to help you out on the trails. 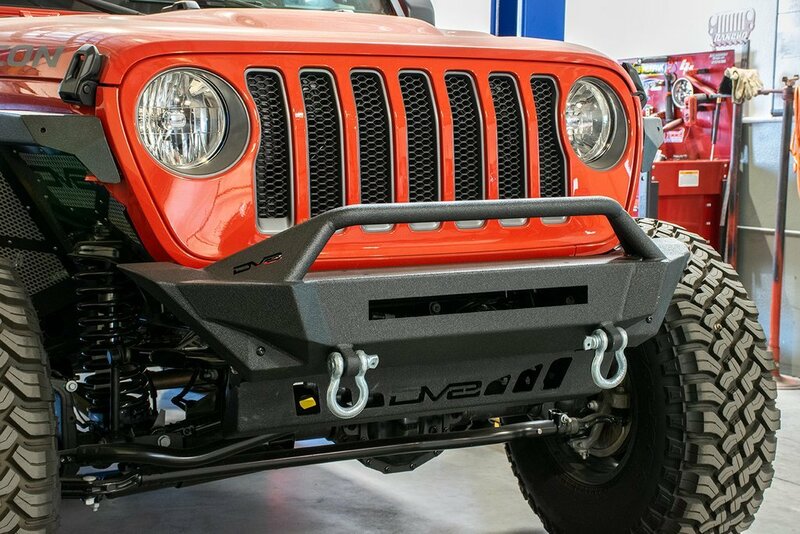 Strong Bull bar to protect your JL's grille and an LED light bar cut out that will fit a 20" light bar. Installation: No drilling or modifications will be needed to install this bumper. Comes with all the hardware that is needed for a smooth installation.